Elon Musk Has a One Page Resume, How Long Is Your Resume? 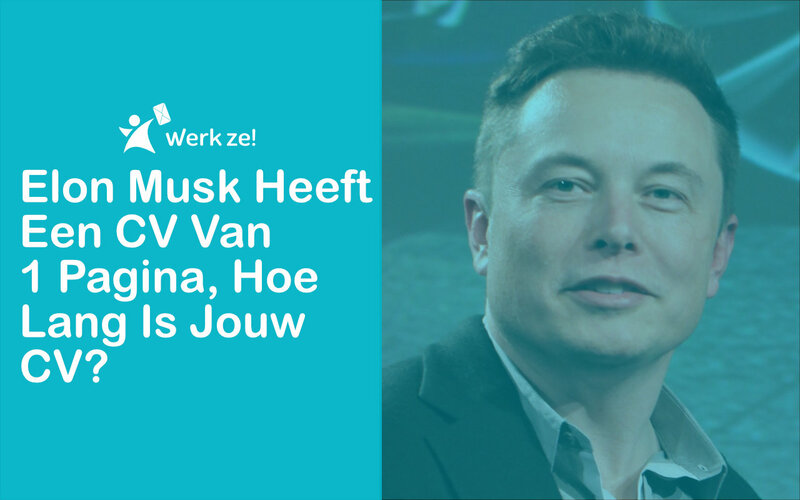 » Werk ze! Elon Musk Has a One Page Resume, How Long Is Your Resume? Elon Musk is a successful entrepreneur who has founded several large companies. These include, Tesla Motors, Paypal and SpaceXT. Through some clever little tweaks, his achievements and experience are displayed on a one page resume. 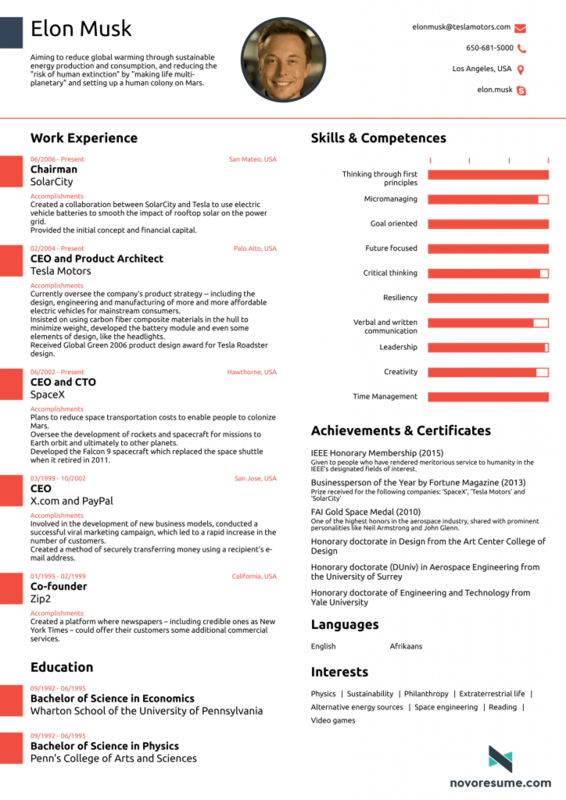 This is shown in an example resume of one page, created by Novorésumé, as shown below. So would a few minor adjustments to your resume even though you can display your information on one page. A one page resume, is that really necessary? The debate on one or two pages is one that has existed for a long time. But is it bad if your resume is longer than one page? There are no real rules of how long your resume should be. However, it is often recommended not to use more than two pages for your resume. It is ideal if your resume is only one page, but you commit no sin by having a resume that is longer than 1 page. For the recruiter / HR employee it is handy if they can make a quick scan on one page. Because as mentioned recruiters make a scan of a few seconds of your resume to see if you are suitable for the job. Want lots of information placed on your resume? First make sure that the most relevant experience for the position you are applying for stands out. How many pages long is your resume? Is your resume, one, two or three pages long? What adjustments did you have to do to get it so short? Let us know down here in your comment.Is jouw cv, één, twee of drie pagina’s lang?